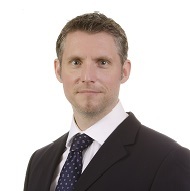 Philip Graham joined Harneys in 2008 and became a partner in 2011. He heads up the investment funds and regulatory team in the British Virgin Islands and advises on all aspects of the formation and restructuring of investment fund vehicles. In 2012, Phil was appointed to serve on the BVI Financial Services Commission’s Focus Group on the Alternative Investment Fund Managers Directive (AIFMD) and serves as the Chairman of the BVI Investment Funds Association. He is a Certified Hedge Fund Professional (CHP) with additional (CHP) certifications at the highest level in Portfolio Analytics and Capital Raising. His team specialises in all aspects of contentious and non-contentious financial services law and regulation, including advice on obtaining or transferring investment management, administration or banking licenses and guidance on the anti-money laundering regime, anti-bribery legislation, information exchange in tax matters and economic sanctions. The team have also advised on trust company and insurance regulation and regularly assist clients with any enforcement action taken by the BVI Financial Services Commission. Before joining Harneys Philip worked in the corporate department of Wragge & Co as a senior associate where he specialised in mergers and acquisitions, public and private fund raisings, venture capital investments, joint ventures, corporate governance and international group reorganisations and structures. Philip is a senior editor of The Offshore Funds Blog, a Harneys blog dedicated to explaining how offshore funds work and why investment managers use them.